Social impact comes in many forms. Mundane yet vital daily actions, the choices made in an instant, have social impact. Taking time to talk to an elderly neighbor who rarely receives a visitor or helping a mother struggling with a pushchair on public transport, have their own impacts. As someone privileged enough to work a "day job" within the music and entertainment industry as a PR consultant, events organiser and artist manager, I see social impact daily. The music my clients make, acts as a therapy, comfort, healer and revitaliser to their fans. I have genuinely witnessed the positive effect it has first hand. But working in a sector that can sometimes feel akin to shark-infested waters, I found myself experiencing a kind of void several years ago, where my own capacity for making social impact should sit. I truly believe that, in order to implement real social impact, we have to get our hands dirty. We have to be proactive and practical in order to create and experience it, rather than simply handing over responsibility through an abstract Corporate Social Responsibility (CSR) policy. When I started to feel the sense of void, it was not that I was not living my professional life according to my core values of integrity, passion and compassion, but more that I was not using these values practically, enabling me to "make a difference" first hand. When we find the route to contributing to social impact that fits with our skills, personality and driving force, we can make a genuine difference to ourselves and, more importantly, to the lives of others. As a child I witnessed a fair bit of serious childhood illness. My brother was in hospital for a long period of time when I was 7 and he 13, having contracted an extremely rare illness related to the Plague. Luckily, and almost miraculously, he survived. Two years later my best friend was diagnosed with Cancer, resulting in a leg amputation and, at just 11, sadly lost her battle. So I spent a considerable amount of time in hospitals as a young child. My brother's response to his illness, as soon as he was old enough, was to volunteer at Great Ormond Street Hospital on their radio station. I sometimes accompanied him and was overwhelmed by the impact on the young patients of having some favourite songs played and interaction with a fun, friendly DJ who the children felt was only talking to them. 20 years later, when I felt that void within myself, I knew immediately how and where I could make my own small contribution. I researched the volunteering opportunities at Great Ormond Street Hospital and found that an organization called Radio Lollipop had now taken over the operation there. Their remit is to send pairs of adult volunteers onto the children's wards to interact and play. They also run the in-hospital radio station. I was delighted to discover that the charity, run completely under the steam of volunteers, operates globally. After a process of interviews, inductions, occupational health checks, CRB procedures and training, I was accepted as a volunteer. For just two hours every week I am immersed in a microcosm of care, hope, will-power and joy. Quite the opposite of what one might expect of a children's hospital. Nothing gives the gift of perspective like spending time with sick children who pay no attention to the fact that they have lost their hair at the age of four, are wired up to a plethora of machines, pumping them full of medication, or that they are effectively living for considerable amounts of time in an alien hospital environment. They just want to get on with the business of childhood - laughter, make believe, escapism, fun, normality. This organization enables adults of all ages, backgrounds, cultures and creeds, to spend precious time with incredibly special children who teach them so much - to be curious, courageous, bold, honest and to retain perspective. The impact on the children is equally considerable. They are temporarily distracted from the discomfort, confusion and pain of being unwell and they too learn from the adult volunteers, not just the knowledge of the elder, but the lesson of those core values I share with the volunteer force at Radio Lollipop - integrity, passion and compassion. Now that I have got under the skin of the charity as a volunteer, I am able to use my professional PR skills to represent the organization's London operation at Great Ormond Street and Evelina London to the outside world. My hope is that by spreading the word that the charity exists, more people will learn of the truly mutual benefits of volunteering and help to grow the offering to hospitals around the world. I am lucky enough to do what I love as a career, but the days I am most motivated are the ones I know I will spend time with those children. I know I'll have fun, sometimes be moved to tears, but always be inspired. Not only by the children we visit, but also by the other volunteers who give up their time to do something genuinely good. It is not my own actions in attempting to contribute to social impact that make me proud. It is being part of an organization that creates more impact than I could ever hope to alone. It is the fact that social impact runs in my family. My sister, who has a Masters in International Education and Development, inspires hundreds of children every day as a Head teacher, and my brother has used his experience to found the first ever children's media network in the Middle East. We have all been inspired by the core values instilled by our parents; if we work hard, we can achieve, but through engaging integrity, passion and compassion, we can also impact on the lives of others. These are some of the themes celebrated by UK based social enterprise Pioneers for Change. Their inaugural Fellowship kicked off on 23 and 24 March, 2015 in London. Pioneers for Change is an initiative of Adessy Associates. 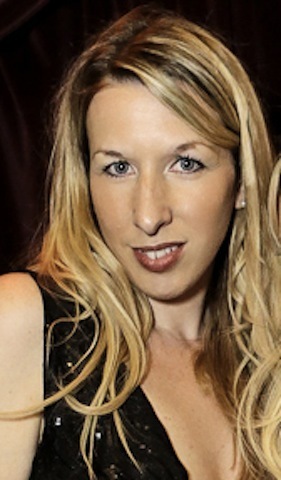 Emma Bartholomew is freelance PR consultant, live music events organiser and artist manager within the music and entertainment industries. Originally from Hampshire, she has lived and worked in Barcelona, Paris and Scandinavia, and is now based in London. With a background in journalism, she is a passionate wordsmith. She has been volunteering for the children's hospital charity, Radio Lollipop, at Great Ormond Street Hospital, for the last 2.5 years.